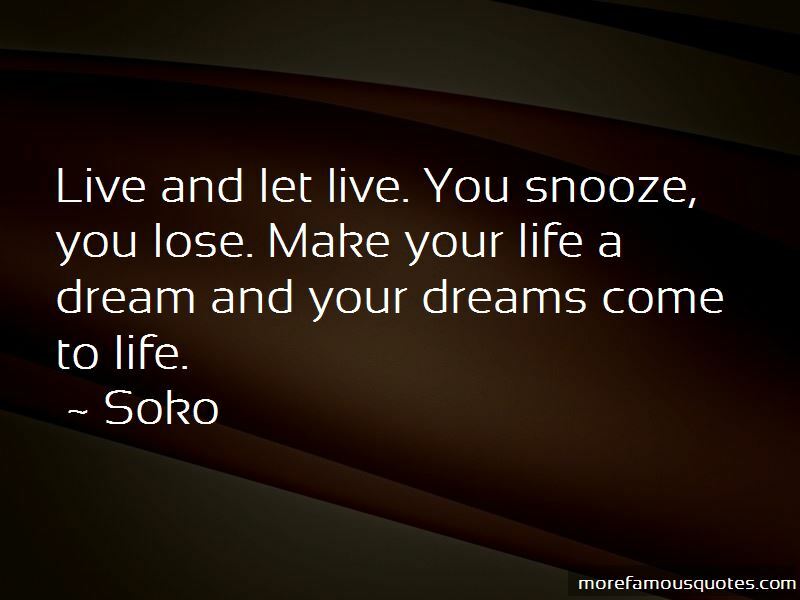 Enjoy the top 6 famous quotes, sayings and quotations by Soko. Live and let live. You snooze, you lose. Make your life a dream and your dreams come to life. 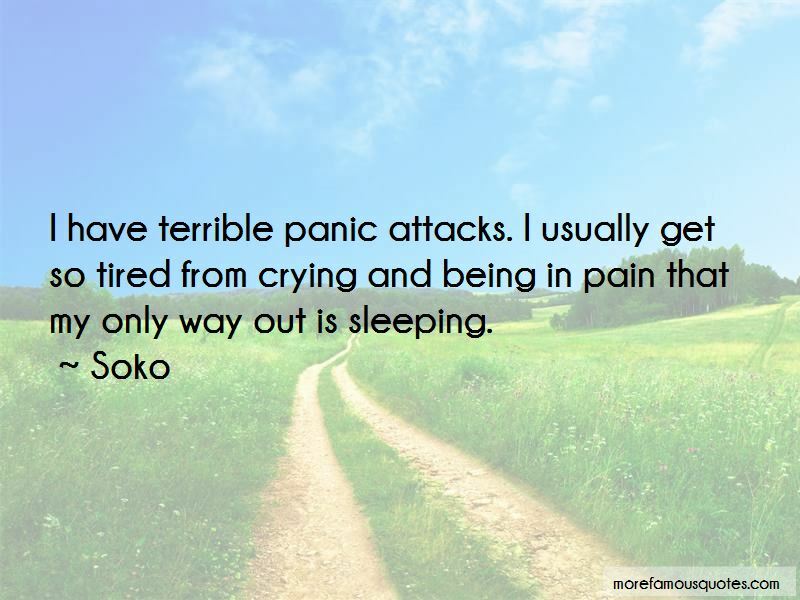 I have terrible panic attacks. I usually get so tired from crying and being in pain that my only way out is sleeping. Telling stories, making them come alive is what makes me come alive. So I try to live a life where sharing this vital search of inspiration is a must. 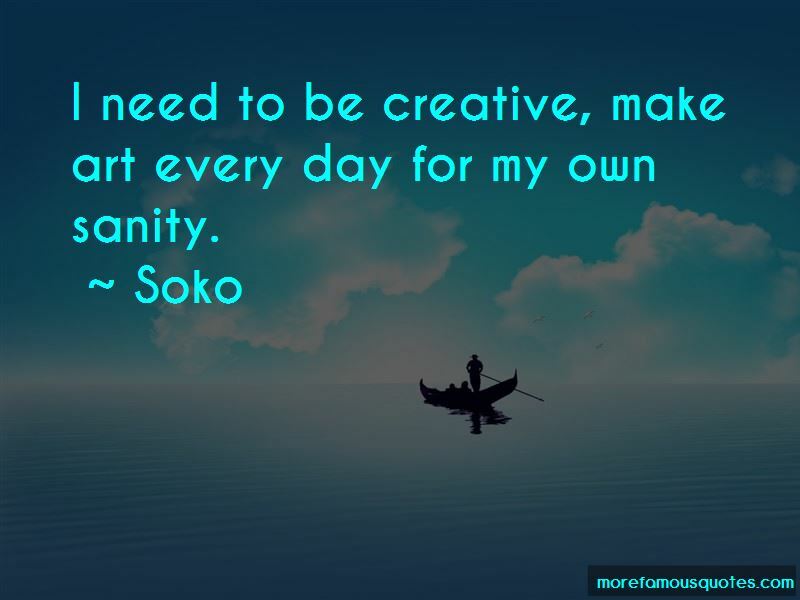 Want to see more pictures of Soko quotes? 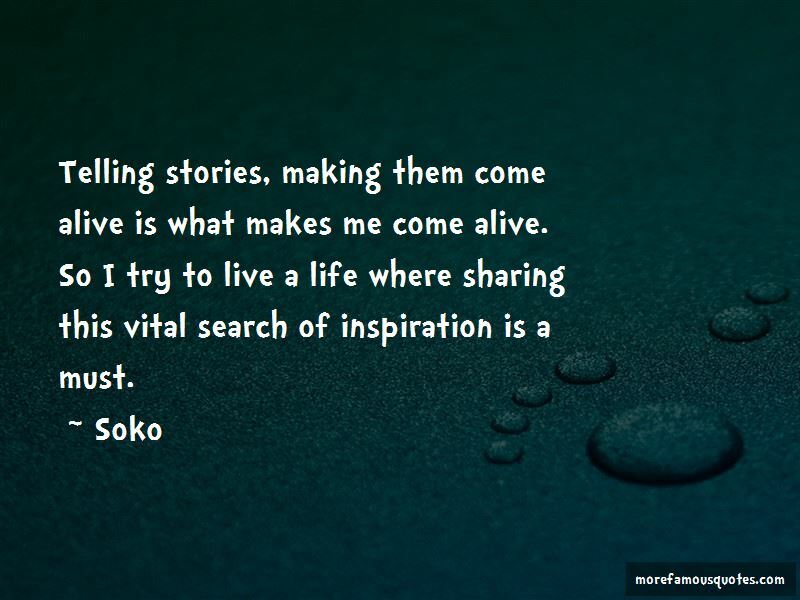 Click on image of Soko quotes to view full size.